Calcium and vitamin D are key nutrients for building strong healthy bones. Calcium works to build your bones and teeth structure, while vitamin D improves calcium absorption. If you do not consume enough calcium, your body will take the calcium it needs from your bones which could eventually lead to osteoporosis. The best way to get sufficient calcium is to eat enough calcium-rich foods every day. It is of course no secret that milk and other dairy products are some of the best sources of calcium and vitamin D, both of which are needed for healthy bones. 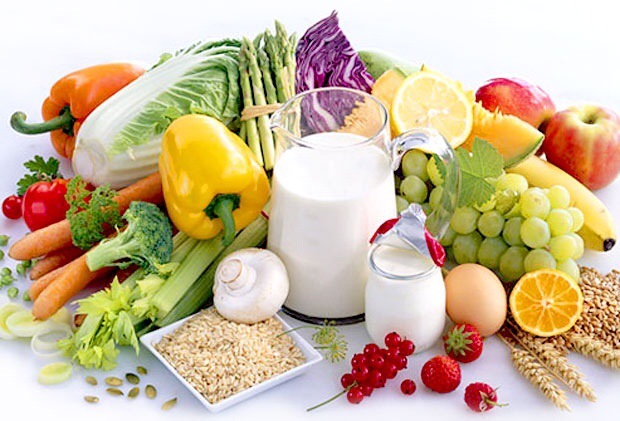 If you can’t consume dairy products due to lactose intolerance or food allergies, there are other good sources of calcium such as tofu, calcium fortified juices and soymilk. Eggs are one of the few whole foods that naturally contain vitamin D, a nutrient that is important in maintaining optimal bone health. They are also an excellent source of nutrients such as calcium, magnesium and vitamins A, which also support bone health. Salmon and tuna are known for having plenty of heart-healthy omega-3 fatty acids, but fatty fish is also great for your bones. A 3-ounce piece of salmon contains more than 100% of your vitamin D. Tuna is also a great source of vitamin D.
Green leafy vegetables are high in vitamin K which is critical in forming bone proteins and reducing calcium loss. Vitamin K has been shown to not only increase bone density in people with osteoporosis, but also reduce fracture rates. One cup of cooked collard greens contains more than 25% of your daily calcium. Magnesium and calcium work together to promote bone health. 50% of the body’s magnesium resides in the bones and low levels have been linked to fragile bones. Pumpkin seeds are an excellent source of magnesium. 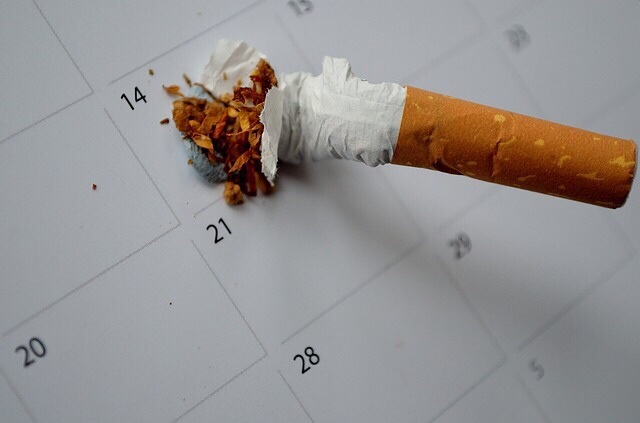 As hard as it is to quit smoking, it is a wonder that so many people start. Among smokers, at least 70% of smokers at any given time really want to quit. They try different tactics in hopes they find the method that works best for them. Nicotine gum, electronic cigarettes, hypnosis, cold turkey, and acupuncture are among the most popular methods tried. The one that gets the most respect among researchers appears to be acupuncture. Study after study conclude that acupuncture helps smokers with jitters, irritability, and restlessness caused by withdrawal symptoms as smoker attempt to reduce and finally cease smoking. What is it will if work for you? First, the acupuncturist will ask questions to discover the effect smoking as on you physically, emotionally, and mentally. These questions will help the therapist decide which pressure points in the body should be treated to help you quit smoking. The acupuncturist will ask you to lay on a raised bed so you can relax and remain stable as you are treated. She will find the pressure points that will help you stop smoking and gently insert very tiny, hair-thin needles at those points. The most used points are in the ears and along the wrist area. Treatments tend to be done several times a week the first couple weeks, and then change according to how well you are responding to treatments. Between treatments small pellets are taped at these pressure points. When you feel the onset of a craving to smoke, you are instructed to press on the pellets to create a relaxed state to reduce your craving. Is there anything you can do at home to treat yourself? Although it is a good idea to let a trained acupuncturist help you it is possible to at least become more comfortable with the concept with a couple simple methods you can use at home. You can think of these methods as “tests” to decide if acupuncture is meant for you. Tim Mee Point: This point on the body is located at the wrist joint along the line of the thumb as the thumb is pointed toward the sky. Create pressure on this point when you feel the urge to smoke. It may be effective for you. Ear massages: The ears are considered by acupuncturist to be the key area of the body to help with smoking cessation. You can massage at the front of the ear where it attaches to the head, the small crease inside the ear, and the earlobe to create the appropriate pressure to reduce the urge to smoke. Use gentle circular motions. At the earlobe you can add a slight tug on the lobe as you massage the lobe. These methods alone may not help you stop smoking. Consider these actions as a test to see if they help you relax. If they seem to comfort you, you may want to go see a professional and tell her about your experience at home. The two of you can together decide if you are a good candidate for acupuncture to quit smoking. Why do people crack their knuckles? After you are told that you’re hurting your hands, the inevitable follow-up questions is, “Why do you do that?” There are a variety of reasons given such as: it feels good, it alleviates pressure in the fingers, it relaxes their fingers, or simply it has become a habit and they are hardly aware that they are even doing it. Unfortunately for those who find it annoying, it is not a habit that is easy to break. What happens when the knuckles are cracked? Here is the science you can use to get anti-knuckle crackers to hush: When you crack your knuckles what actually causes the loud sound is not the grinding of the joints as claimed, rather, it is the release of nitrogen gas within the joint capsule that is there to act as a lubricant for the joints. You see, the bones of the fingers are connected at the joints where the ligaments bring them together. Between the joints is the joint capsule that contains synovial fluid (the lubricant) that is there to help the joints move smoothly. The act of pressing or forcing the joints causes the joints to separate. This separation creates a pocket in which the nitrogen gas asserts itself to fill the void. The forceful pressure caused by the gas makes the popping sound. So, will you get arthritis from cracking your knuckles? There have been numerous studies that indicate that the succinct answer is no. One such study performed in Bethesda, Maryland at the Uniformed Services University of the Health Sciences investigated knuckle cracking. The title of their case controlled study is, “Knuckle Cracking and Hand Osteoarthritis.” The study had 214 participants, 135 of whom had hand osteoarthritis and 80 of whom did not. Of the 214 people, age 50-89, 20% did indeed crack their knuckles. Among all the participants, 18.1% who had hand osteoarthritis cracked their knuckles, while 22.5% did not crack their knuckles at all. Statistically speaking, there is no significant correlation between knuckle cracking and arthritis. Although you are no more likely to develop arthritis by cracking your knuckles, you should know that there is some risk of developing hand weakness and you may develop functional issues later in life. As more and more doctors recommend that we cut sugar out our diets, due to the rapidly growing problem of type 2 diabetes and obesity which appears to be turning into a worldwide epidemic, there’s a rising demand for reduced calorie foods and beverages. Originally hitting the market in the United States as early as the 1970’s, Splenda (sucralose) was at one time one of the country’s most popular artificial sweeteners. Americans in particular blindly turned to (and continue to turn to) sugar substitutes like Splenda to feed their cravings for sweets and their favorite carbonated beverages. Unfortunately (or fortunately since it concerns your health), over the last few years, a lot of these very same doctors have come out against sugar alternatives like Splenda, saying that they come with their own set of potentially hazardous health risks. 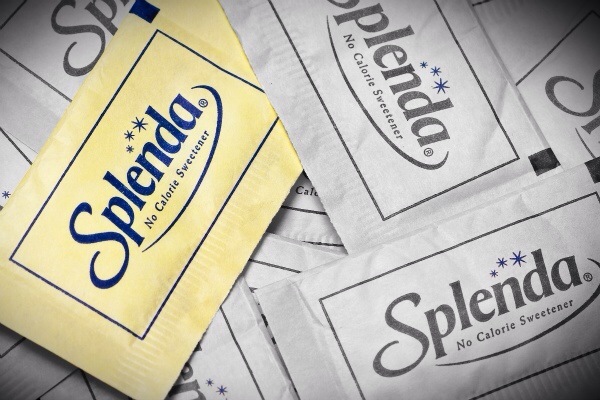 So, is Splenda Safe or Not? According to recent studies and a growing segment of the medical industry, the Splenda craze is taking a toll on the American people in particular. Unfortunately, the artificial sweetener has been marketed as a healthy alternative to regular sugar, but it’s actually one of the most harmful forms of artificial sweetener. Sucralose is in just about every diet product these days as a sugar alternative, used freely in bakery items, diet sodas, chewing gum, fruit juices, and other products that dieter’s turn to in the hopes of not having to give up their favorite high calorie, high sugar comfort foods. Splenda has about the same consequences on the body as aspartame, another artificial sweetener, and is more chlorinated as well. Even though Splenda is calorie free, if used regularly, you’ll be putting yourself at even greater risk of packing on the pounds than if you simply used sugar. Why? Because when you use sucralose (Splenda), you trick your body because it recognizes that Splenda is calorie free so it doesn’t heat up enough to burn calories. 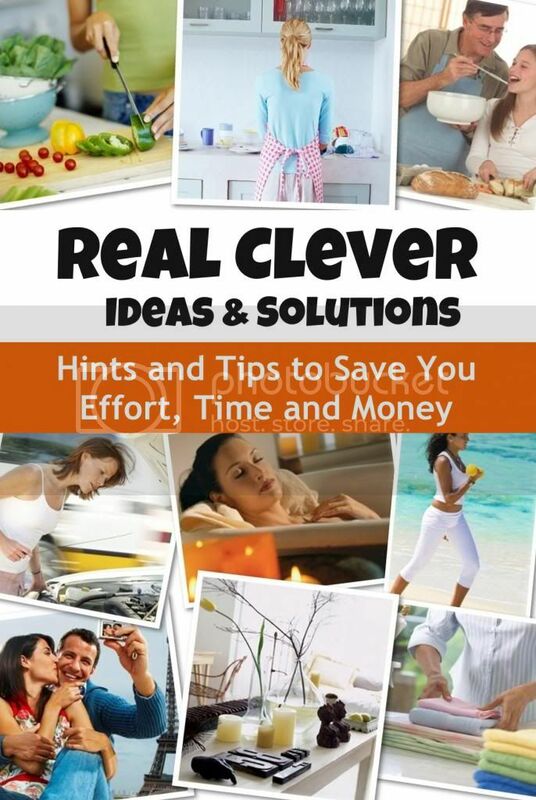 As a result, your appetite won’t be appeased and you’ll end up overeating to compensate. Bottom-line, over time, using Splenda will cause you to gain weight. The nonprofit watchdog group, the Center for Science in the Public Interest (CSPI), actually downgraded its safety rating of Splenda (sucralose) from safe to use with caution, indicating that the sugar alternative might pose a risk and needs further testing. This change in safety rating was based on a study from Italian researchers who found that sucralose triggered leukemia in mice. The CSPI highly recommends that people avoid artificial sweeteners, especially aspartame, saccharin, and acesulfame potassium and sucralose because they need to be better understood before they can be assumed to be safe. Because we know that consuming too much sugar simply isn’t good for us, countless people all over the world have turned to Splenda. Splenda is commonly found in a broad range of food and beverages, including diabetic foods, soft drinks, desserts, milkshakes, added to our daily coffee, tea and creamers, and is even found in medications. It’s actually kind of scary how artificial sweeteners have taken over the “health” and weight loss industries. If you are trying to break a sugar habit, instead of turning to sugar alternatives such as Splenda, consider using natural alternatives like stevia or better yet, consult with your health care professional about the ways to just eliminate sugar (and artificial sweeteners) from your diet. You can also do your own experiment and cut both out of your diet for a day or two and see how you feel. Most people who try this experiment are amazed by how much better they feel. Can you remember the last time you got a good night’s sleep? Memory loss is directly related to not getting enough sleep. During sleep, your body rests and recharges, and this period is crucial for the functionality of your brain’s cognitive processes. There are three different types of memories: fact-based, episodic, and instructional. Fact based is the ability to remember things such as sports statistics or birthdates, whereas episodic memories include events in your life, like your first roller coaster ride, or your last vacation. Instruction memories are based on remember how to perform a certain task, like playing the guitar or tying your shoes. Regardless of which type of memory you have, there are three specific functions that describe the memory process. Two of the processes, acquisition, the introduction of new information, and recall, the ability to access the stored information, happen when you are awake. However, when you sleep, your body performs a function of stabilizing memories in your brain, known to researches as consolidation. Without an appropriate amount of sleep, it is difficult for your brain to recall new information and process the memories made throughout the day. During memory consolidation, the neural connections of our memories are strengthened due to specific brainwave characteristics that occur during REM sleep. 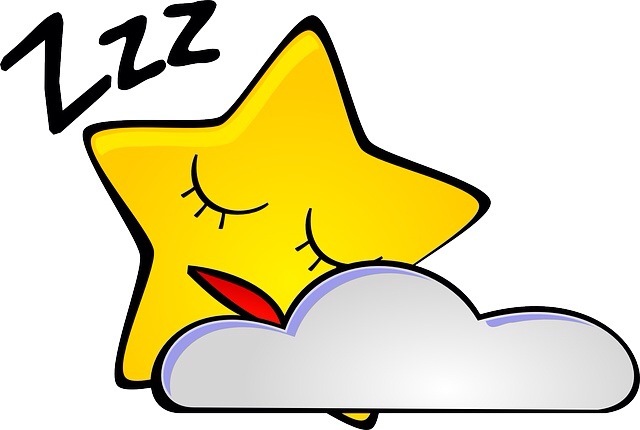 Rapid eye movement (REM) sleep, is the state in which dreaming occurs most often. While the specific science behind memory enhancement through sleep is not completely known, it is proven that it involves communication between different parts of the brain, the neocortex and hippocampus. During REM sleep, the hippocampus relives the day for the neocortex, which processes the daily moments and turn them into stored memories. Sleep deprivation has a huge impact on learning and memory capabilities. Aside from lack of focus, attention and mental readiness, sleep deprivation makes it difficult for the brain to receive new information and process it efficiently enough to convert it to stored memories. It’s also possible to lose previously known information while being sleep deprived, because the over-worked neurons cannot rest and refuel. So what can you do to help give the brain a rest? A good night’s sleep is essential. Allowing your body to complete various sleep cycles will set the way for a good day overall, allowing your memories, mood, and cognitive functions to be at the utmost performance possible. Even a nap can help a mid-day memory lapse. Research has shown that information is most fragile when it is first recorded by the brain and sent to the hippocampus. There, information is subjected to possible overwriting, and a nap can boost this newly acquired information to the neocortex where it can be stored and later converted to memory during a REM sleep cycle. Aside from the basic scientific proof that better sleep equals better memory, it’s also worth considering that better sleep generally leads to a healthier body. Now that you’ve learned all this information about how sleep affects your memory, you need to go to sleep. It’ll help you remember. Caprese salad is one of the simplest and most delicious salads you could make. Like all simple dishes, the quality of the ingredients is key, so be sure to use the most flavorful tomatoes you can find, fresh mozzarella, and fragrant green basil for this recipe. 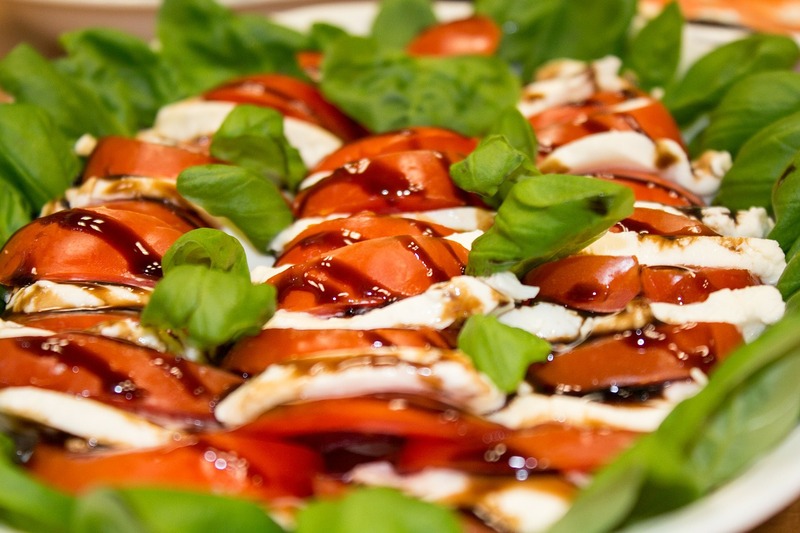 This salad should only be made using local vine-ripened tomatoes that are red, juicy and flavorful but not overly soft, fragrant young basil and of course, good quality fresh, moist mozzarella. Never, ever use the dry, plastic-sheathed supermarket variety! Cut tomatoes and mozzarella into even slices. Layer them on a serving platter or four individual salad plates. Cut basil leaves into thin ribbons and sprinkle them over the salad. Drizzle with olive oil and balsamic vinegar and sprinkle with salt and pepper to taste. Serve immediately. Served with a good quality fresh bread and a glass chilled white wine, this makes an excellent lunch or an ideal first course, especially for summer. Buon appetito! What we choose to eat directly affects our feelings of well-being and vitality. Our food choices greatly impact both our physical and mental health and this is true for all of us, despite of our age or current health. Healthy eating is not about staying super thin or depriving yourself of the foods you love; it is about eating foods that bring you health, give you more energy, stabilize your mood and make you feel great. Your brain is one of the most metabolically active parts of your body and a steady stream of nutrients is needed to fuel your brain. Study after study has found a strong relationship between what we eat and how well we can perform important thinking and memory tasks. Certain nutrients will positively affect your brain, specifically in areas of your brain related to cognitive processing or feelings and emotions. Eating the right foods for your brain not only allows it to function properly but will also reduce the risk for cognitive decline. Avocados are an amazing superfood with a rich flavor and powerful wide-ranging health benefits. Avocados are rich in folate, potassium, vitamin E, magnesium, fiber, and heart healthy monounsaturated fats. Avocados contain more folate per ounce than any other fruit, with 90 micrograms per cup. Avocados are excellent in promoting brain health. They lower blood pressure which is a risk factor for the decline in cognitive abilities. They contain monounsaturated fat which contributes to healthy blood flow to the brain. When it comes to brain health, there really is nothing quite like blueberries. Blueberries have been called “brain berries” for a reason. Researchers have found that blueberries help protect the brain from oxidative stress and help reduce the effects of conditions such as Alzheimer’s disease or dementia. Diets rich in blueberries have also been shown to improve learning capacity and motor skills. Blueberries are high in anthocyanins which help prevent the breakdown of brain cells. Studies have found that people who eat at least one cup of blueberries per week experience less mental decline compared to those who rarely eat them. In addition to anthocyanin, blueberries contain selenium, vitamins A, B-complex, C, and E, zinc, sodium, potassium, copper, magnesium, phosphorus, and manganese. These power-packed berries can help prevent degeneration and death of neurons and brain-cells and restore health of the central nervous system. Blueberries help protect the brain from oxidative stress and may reduce the effects of age-related memory impairments like dementia and even Alzheimer’s. Blueberries have even been shown to improve learning capacity. Eggs are rich in choline which is a building block for acetylcholine, a crucial neurotransmitter that is responsible for proper mental functioning. In addition, the cholesterol in eggs has also been found to be beneficial to brain health. Cholesterol supports the membranes of neurons, helping them to keep their shape, and serves as a building block for hormones that influence brain function. Fatty fish like salmon and tuna are rich in Omega-3 fatty acids which are very beneficial for brain health. Omega-3 fatty acids protect the brain and support its development and functioning. In addition, fish is a good source of high quality protein which is important for making the neurotransmitters that improve mental performance. Omega-3 fatty acids have been linked to lower levels of beta-amyloid plaques which have been associated with Alzheimer’s Disease. Omega 3 fatty acids also boost the production of the protein Brain Derived Neurotrophic Factor (BDNF) which is responsible for boosting memory, mood and alertness. Nuts such as walnuts, pecans and almonds are excellent in promoting brain health. 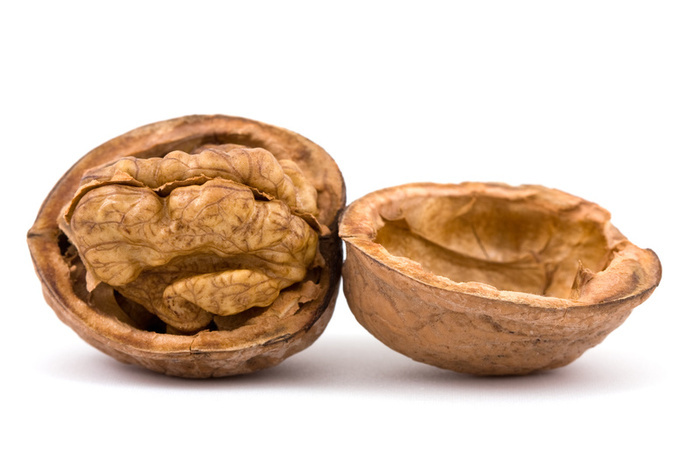 There might be a good reason why walnuts look like miniature brains; they are the ultimate brain food. Studies have found that eating nuts such can result in improved cognitive function. The human brain needs high-quality fats like Omega-3’s to function properly by keeping the brain fluid and flexible. Nuts such as walnuts are loaded with Omega-3 fatty acids. Seeds, such as sesame and sunflower seeds are high in zinc and vitamin E, both important for brain health. Zinc is an important mineral for learning, memory, and brain development. A deficiency in zinc has been linked to cognitive decline. Zinc is also part of the brain’s defense system because it promotes immune health and drives enzymes that keep a healthy balance of trace metals in the brain. Just one ounce of roasted sunflower seeds contains 30% of your recommended daily intake of Vitamin E.
It’s never too late to start reaping the benefits of a brain-healthy diet!